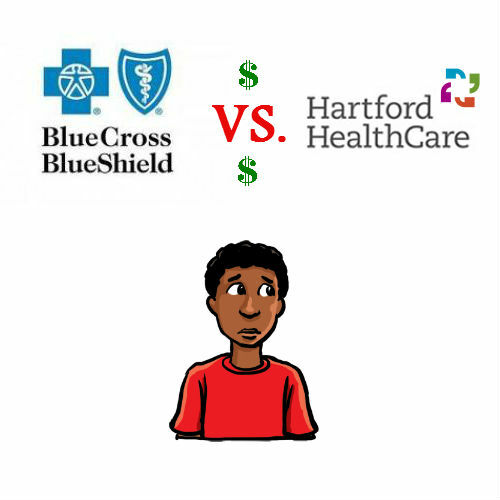 Thousands of consumers are caught in the middle of a contract dispute between Anthem Blue Cross and Blue Shield and Hartford HealthCare. Anthem and Hartford HealthCare are at a stalemate over setting the price that the insurer will pay when its customers use the network’s hospitals. The new contract year begins on October 1. Hartford HealthCare’s network currently consists of five hospitals: Hartford, Mid State Medical Center, The Hospital of Central Connecticut, Windham and Backus. A recent CT Mirror article points out what’s at stake for Anthem members who use Hartford HealthCare providers: their wallets and their care. The ongoing consolidation of hospitals into large networks like Hartford HealthCare or Yale New Haven Health System is leaving consumers fewer choices. For example, if an agreement can’t be reached, an Anthem member living in eastern Connecticut would find two key hospitals: Windham Hospital and Backus Hospital to be out of network. Their option would be to travel much further to use a different, unfamiliar facility or incur higher costs for using an out of network hospital. What is worse, negotiations like this one go on behind closed doors. Whatever deal is struck, consumers will ultimately be paying the bill. And, given the lack of transparency around hospitals’ costs and prices, quality of care or insurers’ profit margins, consumers will have little to no information about what they will be buying with their hard-earned health care dollars. Consumers are pawns in this game. No matter what happens, they are sure to lose.